Though it’s hard to attach lightheartedness to the perils of war, especially when concerning children, Toronto agency john st is taking this provocative route with “Camp Okutta,” its pro bono campaign for War Child Canada. 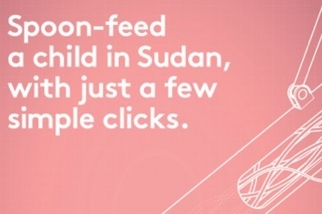 Already causing a stir with our neighbors above, the multi-channel initiative aims to highlight the plight of children who are caught in the crossfire and often forced to participate in over two-dozen armed conflicts worldwide. 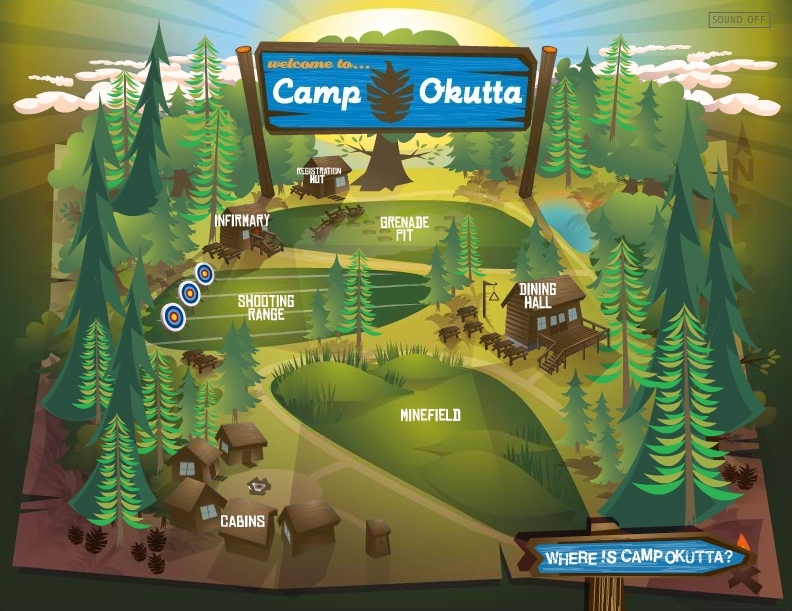 With both a cheeky, eye-opening 90-second promo video featuring young tikes getting weaponry training as well as a series of print/display ads planted throughout city streets—some already causing outrage—the marketing blitz eventually leads to the Camp Okutta microsite. “It was always intended to be viral,” explains john st creative director Stephen Jurisic. “You think of a campsite, and you think of sending your kids. That's why we did a website. At these campsites, they do these fun, cheesy, 'it's all great here' [activities]. That's why we took that sort of tone but then obviously you go, wait a second, what is this? As gentle, unassuming folk music plays, visitors are greeted with a birds-eye view of the animated campground, which features several oddly placed locales including a minefield right next door to the cabins, and a shooting range and grenade pit adjacent to the dining hall. Each area pops up video or pictures with startling copy that covers everything from sexual abuse to the ignorance of innocent killing. It’s a destination that would shock even Ted Nugent, but Jurisic said it is in War Child Canada’s nature to meld the serious overtones of Amnesty International with a bit of edge and campiness, pun intended. 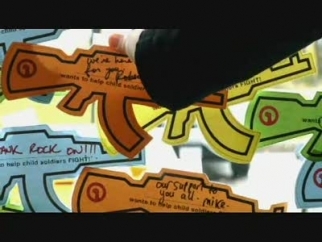 “War Child, especially in the Canada and the U.K., has worked towards a younger audience. They're a bit more rock n' roll when it comes to a charity. It's a hard thing to talk about and a hard thing to show if you start showing children with guns and stuff like that. It's done in the context of what we can relate to and it becomes a little more personal where you say you'd never stand for it here so why stand for it there? If you showed it there, people would look and just go, 'oh well, it's over there.' 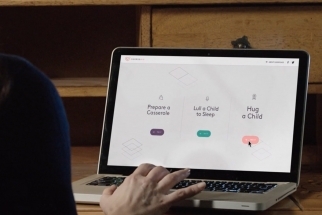 So the idea just came out a way to show it in a context that people could relate to."